At last the Mackerel have finally showed up in numbers. They have been around for a while, but the May water has made them patchy. The May water has almost gone from Chesil, with the exception of the Werstern end of the beach, where it is still hanging around. Summer species are being caught from most of the marks now. Chesil has seen quite a few Black Bream, Gurnard, Bass and Smoothound being landed. Preston beach fished well for Bass, Flounder, Rays and Gurnard. I also heard of Golden Grey Mullet being caught down at Preston, but the source that told me that is notoriously unreliable when it comes to fish ID. You dont have to be an expert to be able to catch a nice fish from Chesil Beach, as 16 year old Callum Jolliffe proved this week. He was fishing with his Dad at Cogden using tackle that was either borrowed or had been bought on ebay with the lot costing only about £40. Having only fished a handfull of times before, they made a quick trip to see Tom at Abbottsbury Tackle. He suggested that they try Ragwork and Squid to tempt some of the Bass that had been reported this week. Neither Callum or his Dad can claim to cast any more than 40yds, but that was all it took to land a lovely Bass. I can imagine Callum will be coming on many more fishing trips. 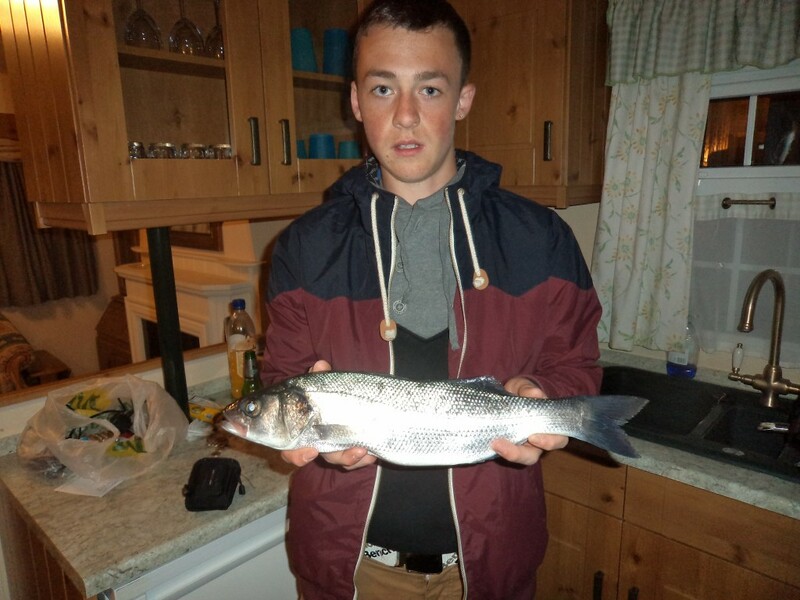 Callum’s fish is the first entry for the July fish of the month competition. I will announce Junes winner in the next couple of days, after I have sorted out the layout for the fish of the month competition. Lets see if we can have even more entries than we did last month. King Fishers: After what seems like an eternity since filming the program last year, the new show titled King Fishers from National Geographic is being broadcast on Monday night at 8pm. I m lucky enough to feature in the first program of the series. I wont give too much away, other than to say it was a fantastic experience for me and it really is worth watching the show, if nothing other than to have a laugh at me. 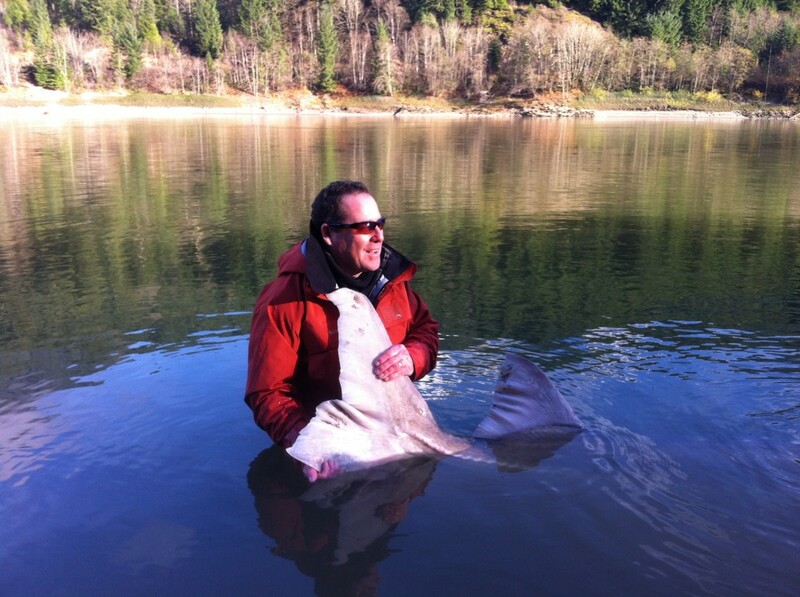 Find out what the rest of the fish looks like at the end of this tail. Chesil Beach forecast: with this weather you can guarantee that Chesil will be very busy with Mackerel bashers, but if you make the effort to walk a bit then you could be in for a great days fishing. Remeber if you are fishing for Mackerel make sure you use an appropriate strength shock leader (50lb is a good choice), and don’t take bucket loads of Mackerel if you are not going to use them. Portland: Wrasse and Pollock are around in good numbers from marks all around Portland. If you want to avoid heavy tackle losses then lure of float fishing will be your best bet. Soft plastics such as Xlayers work well for both species. Portland Harbour: There should be plenty of Bass and Flounder in the harbour and decent Mullet around Portland Marina. Weymouth Bay: Weymouth harbour is full of Mullet and a few Bass. Both have been caught on bread, but if you want Bass then Sandeel work well in the harbour. Whilst we waded up and down Weymouth beach in the search of the hundreds of Bass, sorry Mullet my mate seen we did disturb loads of Flounder. A lot of them were small, but others were well worth catching. Further along towards Bowleaze Cove you have a good chance of a Bass, Ray or Sole. I fished the weekend at checkpoint for 2 days… There were no bream about at all. thanks for the updates, esp re may water. Hope to get my smoker going at last. Well done on the advice re shock leaders and numbers. I have seen plenty who should take heed. My solution to the latter is to switch to a wedge on light tackle when I am close to my requirement for consumption. Good sport and the odd bonus bass or gar. Paul, you have hit it on the nail. Once you get near what you are looking to catch in numbers on your Mackerel then switch to something like a Dexter Wedge. You get extend sport and you could always pick up a bonus Bass.